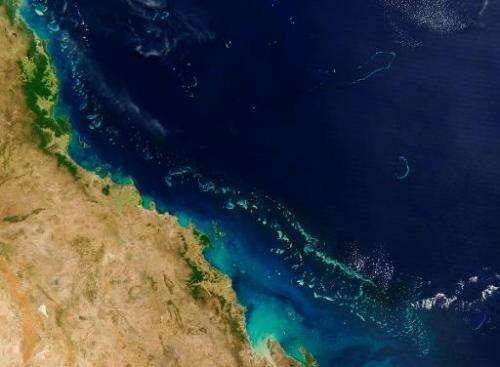 Conservationists on Wednesday slammed Australia's approval for an Indian firm to expand a major coal port on the Great Barrier Reef coast, warning it would hasten the natural wonder's demise. 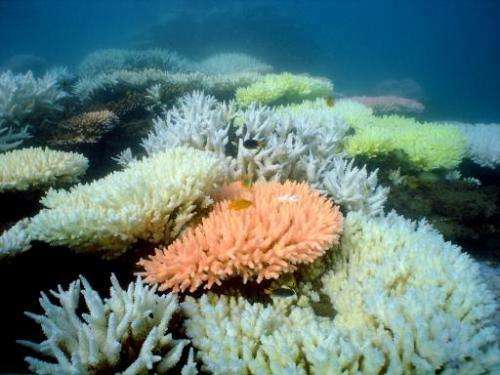 "The Great Barrier Reef is dying and (Prime Minister) Tony Abbott is hastening its death," Greens leader Christine Milne told reporters. "(He) has made it clear that industrialising the reef, giving approvals to coal mines and gas facilities for his big business mates, is a much greater priority for him than protecting the reef and the 63,000 jobs that depend on it," she said. Environment Minister Greg Hunt on Tuesday gave the green light to the project by India's Adani Group, under what he labelled as "some of the strictest conditions in Australian history" governing environmental protection. The Great Barrier Reef Marine Park Authority—whose board is currently under investigation for its links to the mining industry—must now issue a permit allowing the dredge material to be disposed of within the park. This is typical of the attitude of the right wing state and federal governments and mining interests in Queensland. The reef is treated like it is something in the way, an inconvenience for business. The rate it is going, it will be dead before long, which is what they want. Perhaps then it can have sections of it blown away for ships to pass through and the rest concreted over to make it safe. What we have now is all we will ever have.